During the 1970’s and ’80’s, this property underwent intensive logging. 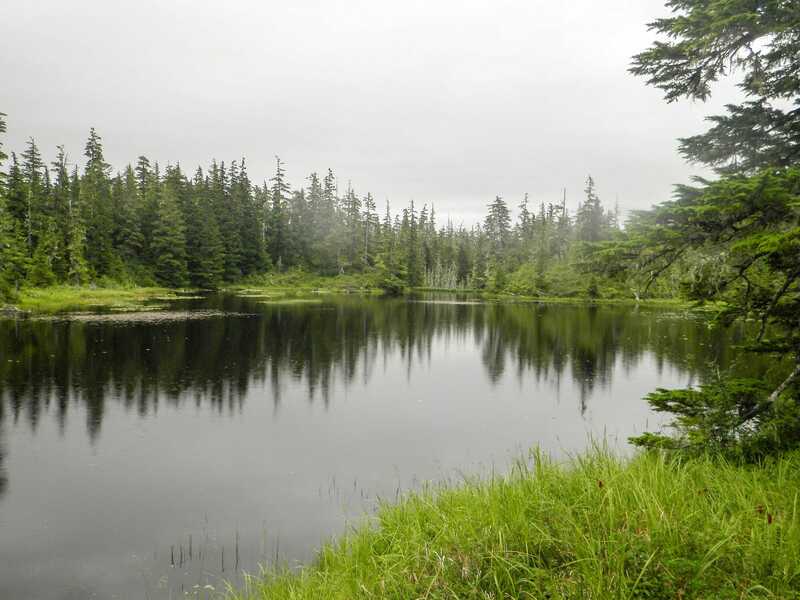 In May of 2001, this 1,430-acre conservation easement was donated to the Southeast Alaska Land Trust, who accepted the easement to provide for the natural and sustained rehabilitation of coastal forest habitat. By prohibiting future resource extraction, the easement protects not only the natural potential of the area, but also a culture dependent on fishing and the local water supply. This property supports an assortment of mammals, fish, and bird species. By providing a pure and clear source of water, 65 million salmon fry will achieve proper incubation within the down stream hatchery, and local residents will enjoy clean water.